Our Sales Future – Are You Ready? 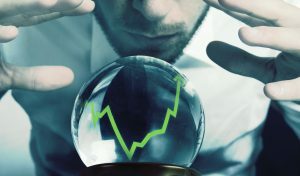 What will it be like to sell in 2020? Perhaps you are thinking that far ahead, but more likely you’re worried about getting results now. Recently, I did have the chance to ponder this exact question. I was approached by Vistage Research to consider what selling would be like over the next three years and provide my insights for an eBook they are soon publishing on the future of sales called, Customer Growth: Decisions for the SMB CEO. There’s a great deal I can say on the topic, but for the eBook I was limited to 200 words. Since I couldn’t comprehensively delve into the subject there, I’ll go deeper here. First, let’s start with the topic of technology and the rise of artificial intelligence (AI) in sales – Will it disrupt or enhance sales in the future? In 2015, Forrester Research predicted that one million U.S. B2B salespeople would lose their job by 2020. This finding may be supported by the rise of organizations and individuals buying goods and services through on-line purchases, unaided at all by salespeople. However, I am still a firm believer that a growing number of complex and value-added services will require the intervention of a human to sell them. Further, there is a segment of the population that actually values interaction with humans. Additionally, there continues to be an enhanced pursuit of sales efficiency and effectiveness. Frequently, this involves some aspect of phone selling instead of getting face to face, because the customer prefers the ease of it and the sales organization benefits from the efficiency and cost savings. Where it once was uncommon to have “inside” salespeople actually close business, it is now commonplace. So, what does this mean for the future? With increased advances in AI, the smart sales organization will use this technology to evaluate the effectiveness of its sales staff. The efficient and focused sales organization will leverage AI by reviewing reactions to certain phrasing, wording, and interactions. It will attempt to use this data to duplicate the sales conversations that work and eliminate the ones that don’t. Sure, a sales organization can streamline further by using voice prompts and AI to engage the customer at the start of the sales process and do this without any human involvement, but it will only work for low value services, in my opinion. For other types of selling, I firmly believe that better skilled salespeople will become more valuable, the more AI and technology are involved in sales. Those individuals that are committed to improvement, are adaptable and seek continuous growth and learning, will be valued highest in our future sales world. They will also benefit the most from the feedback and knowledge that AI can provide because they will strive to adapt their conversation style and phrasing to produce better outcomes. We don’t need to be scared that technology may streamline some sales processes. Rather, we need to embrace the learning that can come from the increased use of technology. AI can be used for more than actual conversation analysis. There are numerous other technologies to aid your sales team in qualifying leads, finding leads, staying connected to leads, and scoring leads. I’m intrigued by all of these, however I am not an expert on them. If you really want to learn more about the technologies that aid sales, go to www.smartsellingtools.com, where Nancy Nardin continuously analyzes the latest and greatest selling technologies available. Knowing that the salesperson of the future will need to continuously adapt and grow, it might make sense to hire for that quality now. The rate of change isn’t slowing down anytime soon, so future adaptability will be key. In conjunction with Objective Management Group, we analyze individuals’ ability to change, adapt and grow. We can effectively and empirically measure these qualities – the most important components of a successful salesperson. Let me know if you’d like to learn how your salespeople rate for these critical skills.